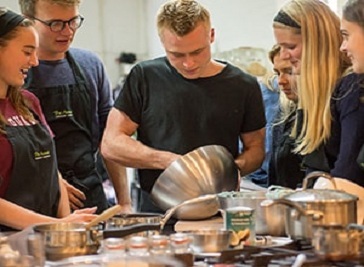 If you’re a great cook and fancy a career in food but you’re not sure how to get started, a one-day cookery school could be just what you need. 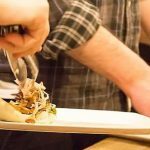 Inspiring and fun, you’ll spend the day with experts learning cheffy tricks that will make you a better cook, whether you decide to start a career in cookery or not. 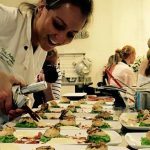 Some of the courses are one-day cookery courses but many offer you the opportunity of staying overnight, so that you can turn your course into a fun getaway. 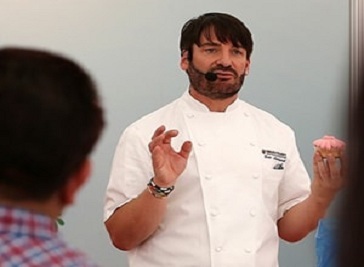 Learn with the master patissier himself - Eric Lanlard - how to make extraordinarily fine desserts and cakes at the Cookery School at Cake Boy. The teaching style is informative and fun - the lessons are 'hands on'! Divertimenti Cookery School is the place to learn about the culinary arts; from hands on masterclasses to experiencing Michelin-starred menus in a truly unique environment. Our School caters for amateurs, enthusiasts and accomplished cooks alike with a diverse menu of classes featuring the classics, the contemporary and tomorrow’s trends. 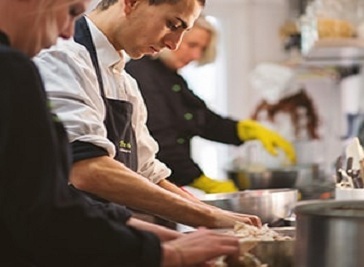 Established in 2004, The Avenue London Cookery School – now a family run school – thrives on all things foodie and incorporates love and enthusiasm into carefully structured courses. We offer anything from 3-hour evening classes to 2-week Chalet Host courses – as well as corporate events and anything bespoke for those special occasions!